It’s not just the jumps but the time between that counts. Ian Millar and Dixson made clean rounds fast enough to win the World Cup Grand Prix. Photo by Ellen Cameron. 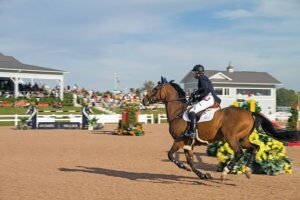 On a brilliant, warm day in late September, the Caledon Pan Am Equestrian Park in Palgrave hosted its final event of 2014. 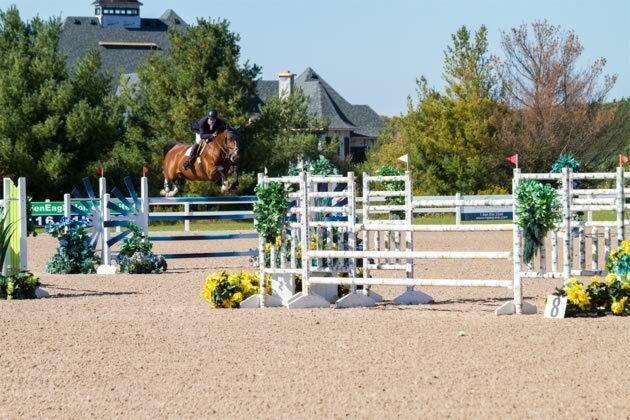 The Canadian Show Jumping Tournament is an annual affair that draws jumpers to Caledon from across North America to compete for more than $200,000 in prize money. But this year, the high-profile event was more than that. It was also an opportunity to showcase the newly upgraded 98-acre (39.6-hectare) site that will host the show jumping competition at the 2015 Pan American Games next July 21, 23 and 25. To anyone sitting in the fall sunshine to watch some of Canada’s top horses and riders negotiate the tournament’s spreads and combinations, it would have been clear that the park is right on course for the Games – thanks to about $11.5 million in improvements financed jointly by the federal government, which contributed 56 per cent of the funds, the Town of Caledon, the Toronto and Region Conservation Authority and Equestrian Management Group, the private company that operates the facility in partnership with Caledon and the TRCA. In addition to building a new spectators’ pavilion, the money has been used to upgrade the water system, grade the site, install state-of-the-art synthetic footing in five competition rings, and add warm-up rings, training areas and temporary stabling. All that remains is to construct two buildings that will house an indoor riding ring and the temporary stabling that will be put in place for the Games. EMG managing partner Craig Collins says both will be complete by late February. 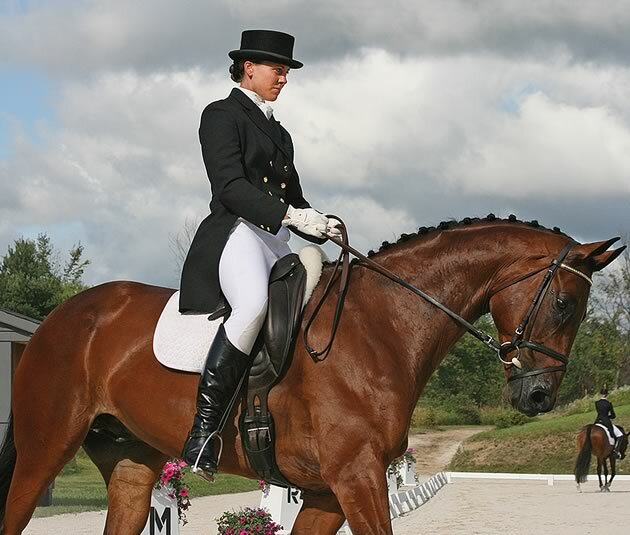 The Pan Am dressage tests and two of the three phases of the eventing competition will also be held at the park, but show jumping is the highlight of the equestrian events and the discipline at which horses and riders from Canada – and the Headwaters region – excel on the international stage. Ever since the Canadian show jumping team won gold at the 1968 Olympics in Mexico City and, more recently, Eric Lamaze brought home both the individual gold medal and a team silver medal from Beijing in 2008, this has been our sport. And riders and horses from Headwaters and surrounding areas continue to dominate. 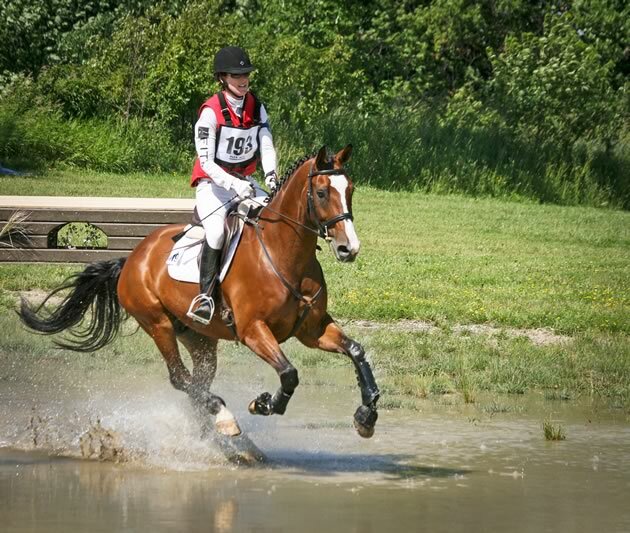 Headwaters riders who have represented Canada internationally include Yann Candele of Caledon, Chris Sorensen of Caledon East, Jay Hayes of Mono, and Erynn Ballard, whose hometown is Palgrave. 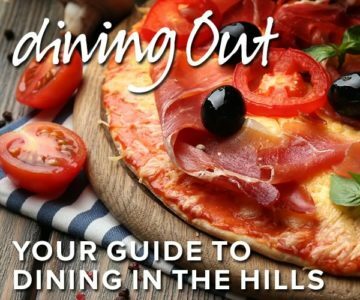 And in addition to Lamaze, Mac Cone and Beth Underhill live in neighbouring King Township. Then there are the owners. Sue and Ariel Grange of Lothlorien Farm in Cheltenham own Dixson, ridden by veteran equestrian Ian Millar. 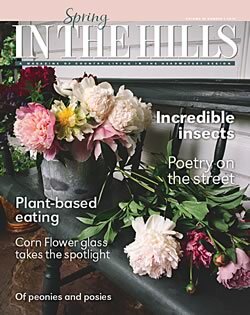 Indeed, this past September, the 67-year-old Millar rode Dixson to the world’s richest show jumping prize at Spruce Meadows near Calgary. Another area resident, Jennifer Rogers of Erin’s Little Brook Farm, is part owner of Candele’s mount, Showgirl. Rogers and five other individuals, among them Eric Lamaze and Candele himself, pooled their resources last fall to purchase Showgirl as a mount for the Canadian team member. Though Showgirl was 14 when the group bought her, younger top-quality horses can command prices as high as $8 million to $10 million, and Rogers sees sponsorship arrangements like her group’s as the way of the future. Chris Sorensen of Caledon East executes a picture-perfect jump at the recent Canadian Show Jumping Tournament at Caledon Equestrian Park. Photo by Ellen Cameron. “Canada has fantastic individual riders, plus we have one of the most consistent teams in the world,” says Sorensen, who has represented Canada in Calgary, Brazil, Germany and, most recently, at the 2014 World Equestrian Games in Normandy, France. “An extremely high proportion of top horses and riders are coming out of [the Headwaters] area,” he notes. Despite this, the general public’s interest in show jumping often seems muted at best. 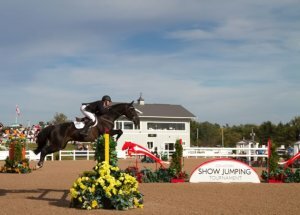 At September’s Canadian Show Jumping Tournament in Palgrave, the parking lot was half empty, the grandstand nearly vacant. Most people in the sparse crowd wandering the grounds on what was a perfect fall weekend were wearing riding clothes or leading horses. It seemed that very few had come out simply to enjoy the spectacle. And yet the event offered plenty of edge-of-your-seat tension. 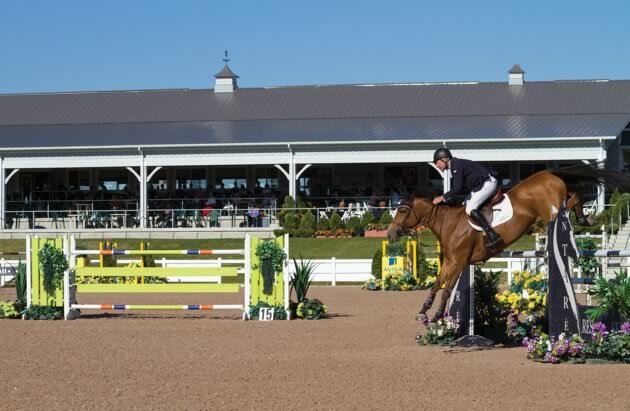 Ian Millar, riding Star Power, won the $35,000 first phase of the Caledon Cup competition on Friday. 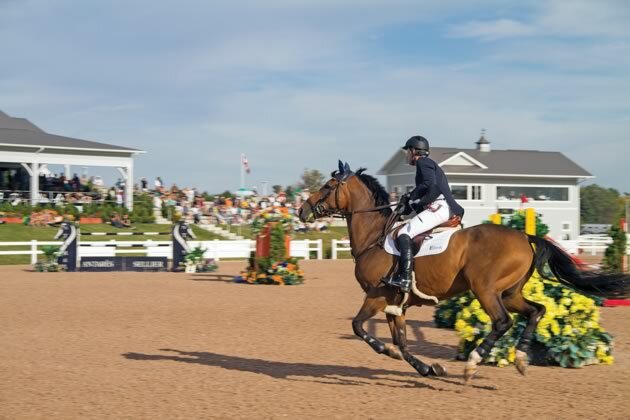 Then on Sunday in phase 2 – the $50,000 World Cup Grand Prix – Millar, this time aboard Dixson, took second place in a taut jump-off against the clock behind Irish rider Conor Swail on Ariana, a horse also owned by the Granges. Sorenson and Bobby were third. Millar’s combined first- and second-place finishes sealed his victory in the race for the cup. Mono’s Jay Hayes and Riva soar over a jump at Caledon Equestrian Park. 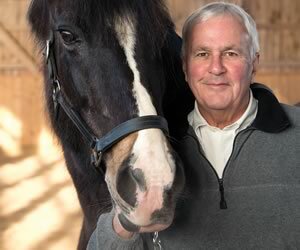 Hayes has been a member of the Canadian equestrian team since 1985. Photo by Ellen Cameron. 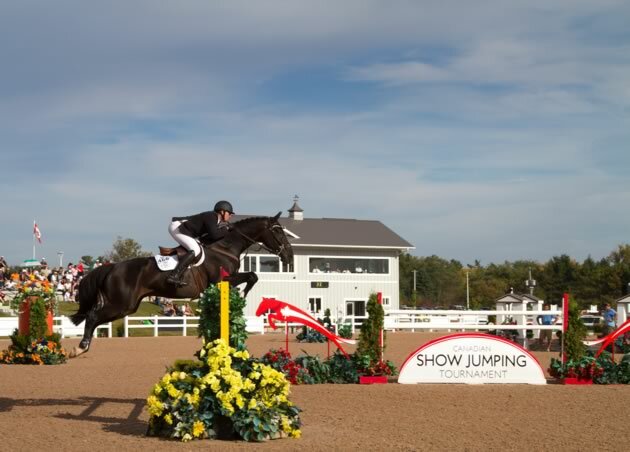 Nevertheless, despite the low attendance at some show jumping events, most observers believe Canada is set to make a great showing on the international stage. “Horses have an emotional appeal to so many people,” says Terrance Millar. “Canada’s golden age of jumping began after we won gold in Mexico City in 1968. It lasted about 15 years, then it all began to drop off. Here is what audiences can expect to see next summer at the Pan American Games show jumping event. 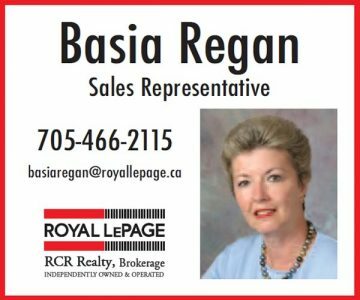 The Pan Am Games are a regional qualifying event for the 2016 Olympic Games in Rio de Janeiro, Brazil, so there is a lot riding on them for the Canadian team. Because Brazil is the host country, its show jumping team automatically qualifies for the Olympics. The American team has also qualified, leaving two Olympic berths open for other teams from the Americas. It’s complicated, but finishing in the top two at the Pan Ams would ensure an Olympic berth for Canada. A third-place finish would also give Canada a berth – but only if the U.S. or Brazil, or both, finishes ahead of them. And if Canada finishes fourth, the team would qualify only if the teams finishing ahead of them include both the U.S. and Brazil. Canada’s Pan Am show jumping team of four horses and riders will be chosen shortly before the Games. In the team competition only the scores of the top three team members count toward medals. The goal of each team is to negotiate the course cleanly within a specified time and without accumulating penalty points – faults – for knocking down obstacles, which range in height from 1.45 to 1.6 metres. Knocking down an obstacle incurs four faults, as does refusing a jump. Three refusals result in elimination. Exceeding the allotted time for completing the course incurs time faults. July 21 – The preliminary session, a ride against the clock over 12 to 14 obstacles. 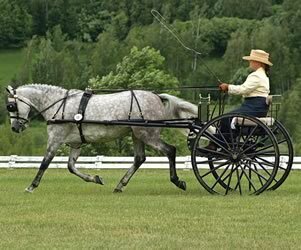 Faults are converted to seconds and added to a horse and rider’s time. July 23 – The team final, two rounds over 12 to 14 obstacles. The first round must include a water jump. Teams tied after the two rounds compete in a timed jump-off over six obstacles, whose difficulty may be increased. July 25 – The top 30 riders in the team competition vie for individual medals. Scores from the team rounds carry over to this two-round event. The first round involves 10 to 12 obstacles. The second is on a different course consisting of 8 to 10 obstacles. 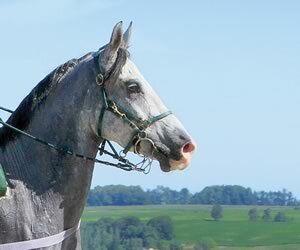 In case of a tie, horse-and-rider teams compete in a timed jump-off over at least six obstacles, whose difficulty may be increased. The first round of Pan Am ticket sales has concluded. 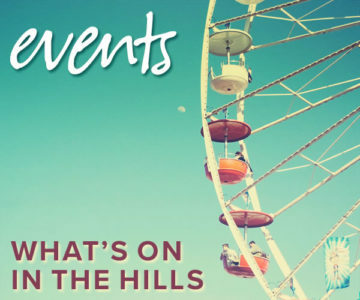 General ticket sales for the equestrian and other events start December 8 on a first-come, first-served basis. 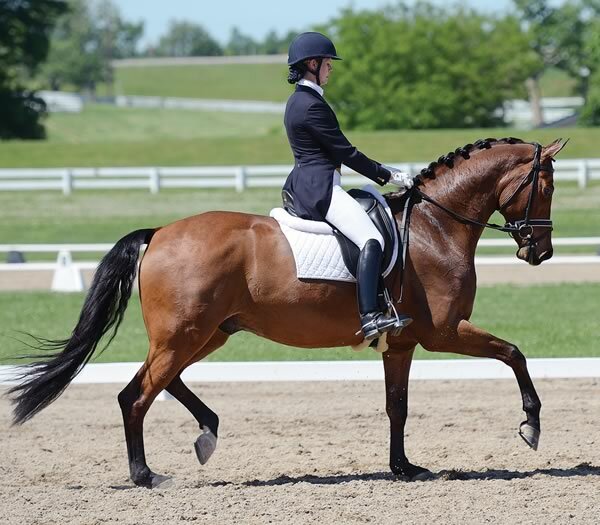 Prices for equestrian events range from a low of $25 for the preliminary round to a high of $75 for the team and individual medal rounds, with substantial discounts for children and seniors. Visit toronto2015.org tickets for details. A spread (distance) jump that requires the horse to jump three parallel poles or bars positioned so that the first is the lowest. The next is higher and the third the highest. Two verticals placed close together to make a single wide jump. A spread fence with the highest pole at the centre. A vertical jump painted to look like a stone wall. An upright jump consisting of poles or planks placed one above the other with no spread. A wide ditch filled with water. Faults are incurred if the horse steps in the water. Two or three jumps in succession with no more than two strides between each. 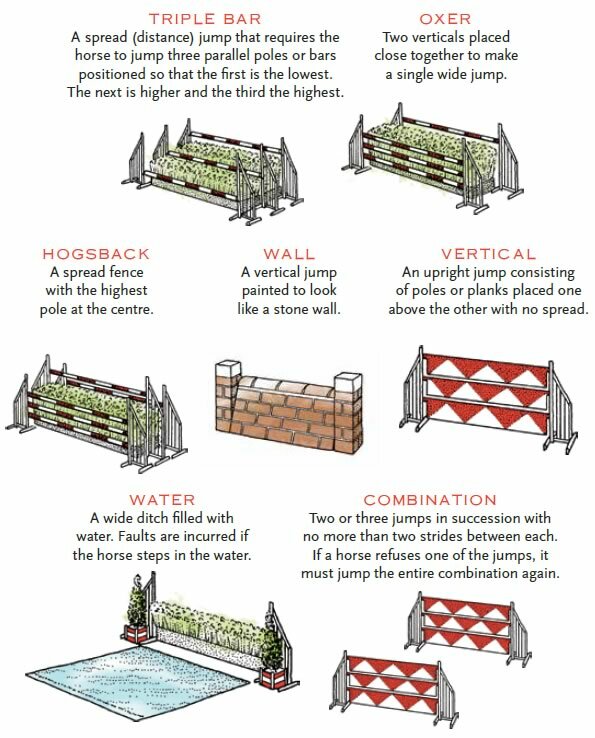 If a horse refuses one of the jumps, it must jump the entire combination again. 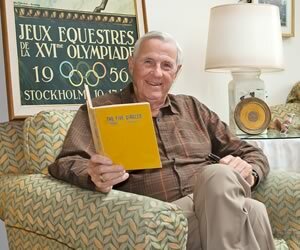 Gary van Bolderen carved out an exceptional niche in the equestrian business. 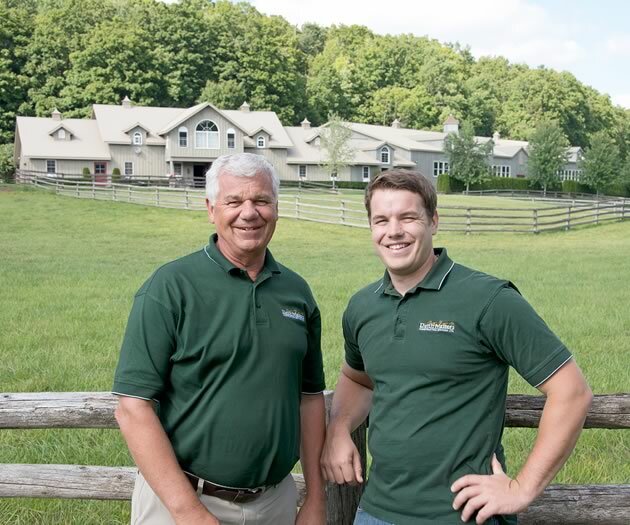 Now his son is taking over the reins – and Gary couldn’t be happier. Heart and muscle at the fall fair. 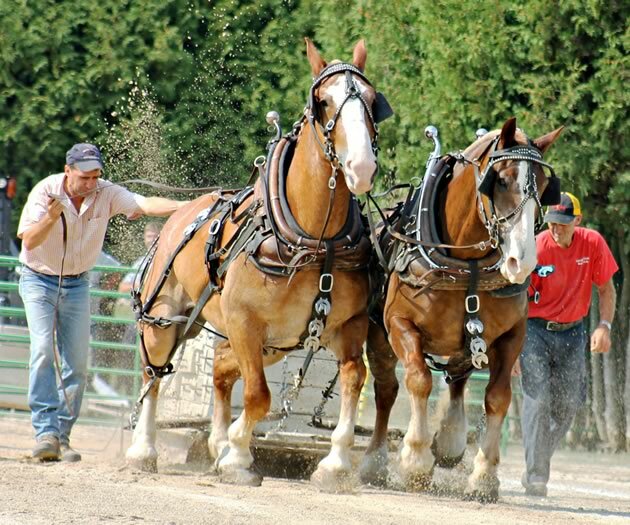 Heavy horse pulls are crowd pleasers at Ontario’s fall fairs.